I didn’t intend the title to be a tongue twister…but go ahead…say it three times fast! 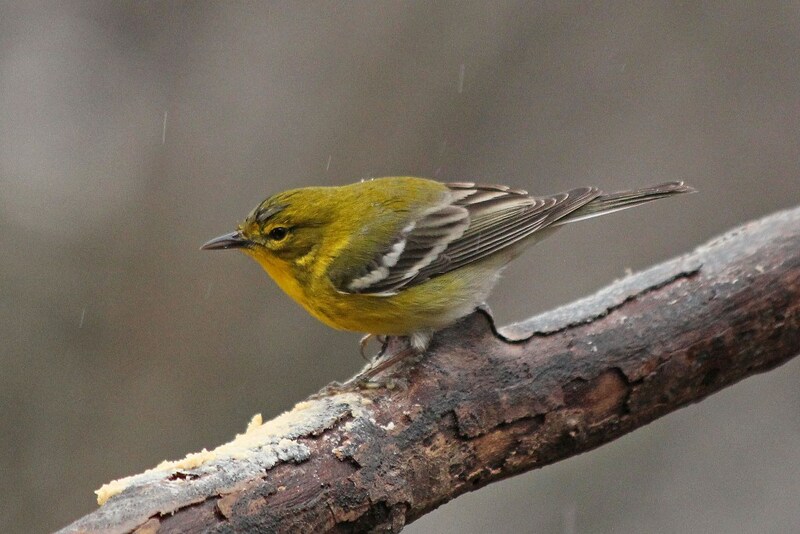 The birds didn’t seem to be a bit hindered by the drizzle. Here are some who showed up to grab some soggy seed. 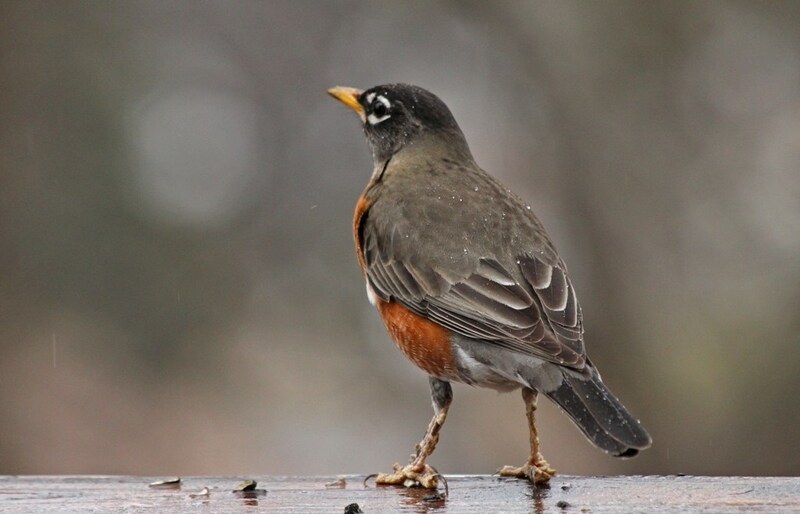 Here’s hoping that the wetter feather weather soon gives way to brighter skies! 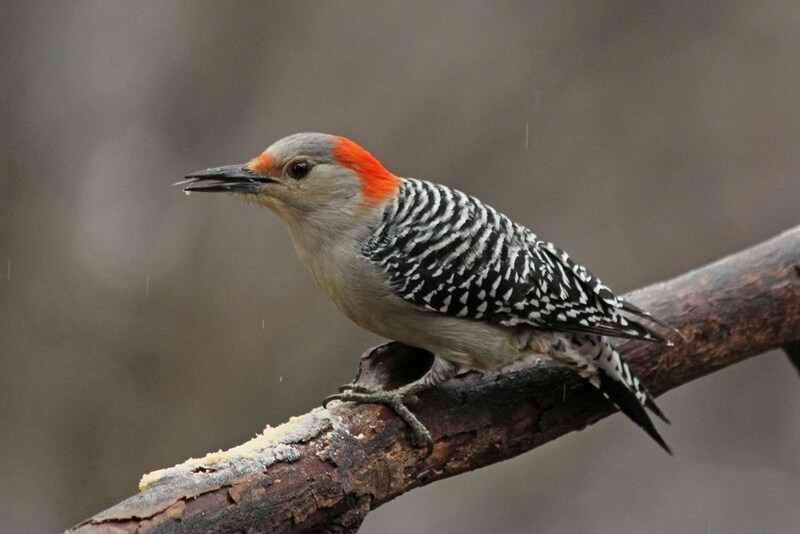 This entry was posted in Backyard Birds and tagged beauty, birds, georgia outdoors, hobbies. rainy days, nature, photography, writing. Bookmark the permalink. I like the soft box effect of the background against the colourful birds. 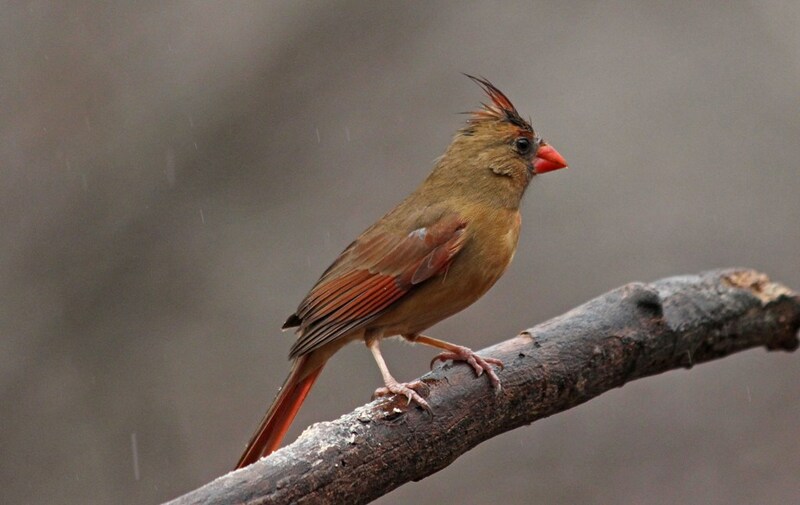 I imagine the female Cardinal doesn’t like her ‘bad hair’ days and wants brighter skies as well! Love the title and love the photos!!!! 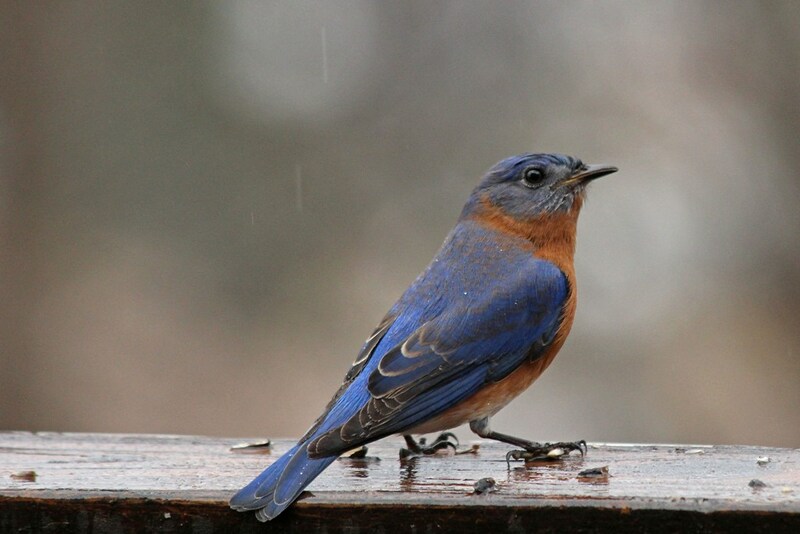 I thought the handsome woodpecker was my favorite, then I saw the bluebird. Decisions, decisions, can’t decide.